"The EF9500 has the best looking colors you have ever seen..."
These are our favorite quality category TVs for the year. OLED TV is the technology of the future but with the EF9500 its here and available now, even in 4K UHD resolution. Only Sony and Samsung's very best, top of the line 4K full local dimming models can come close to matching OLED TVs. 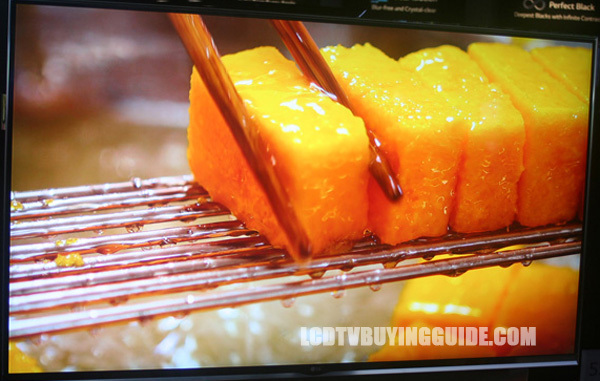 LG's new 4K line of OLED TVs won our Best of CES 2015 awards for best picture in the market. The EF9500 series forgoes a few of the most costly “twists” like a curved panel, but it does have a full raft of features as listed below. When you view an EF9500 next to a 4K LED TV, the first thing you notice is the immense and indefinite black levels of the OLED TV. Yes, 4K LED TVs can still pump out a brighter picture due to amped up LED backlights, but it's no comparison in depth of blacks. Now for review, you videophiles know that brighter LED backlights in the store can look great, but get it home in a lamp-lit room and you start to see all the flaws. You also remember that deeper black levels create colors that pop more and more contrast on the screen. Essentially to make my point simple, black levels win out over brightness in picture quality performance importance. OLED TV wins out easily against 4K LED in this very important category. I'm not going to go into the tricks like Quantum Dot/ Nanocrystal layers that 4K manufacturers are employing to try to equal OLED in color performance. Instead, just know that they are doing everything possible to try to compete with OLED in performance, which means OLED is better right? Yes, that's right. The EF9500 has incredible deep pitch blacks and the best looking colors you have ever seen in terms of brilliance, depth, saturation, and contrast. Another area we always highlight is off center viewing contrast. 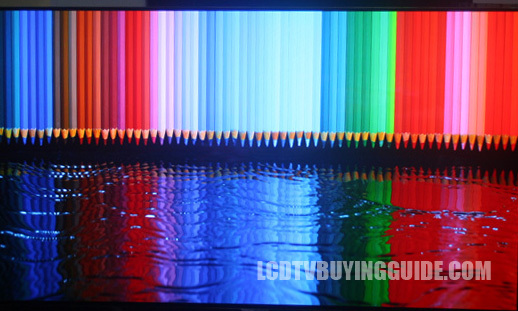 With OLED and the EF9500 it's perfect just like it was with good plasma TVs, because every pixel is lit organically (and with an electrode) so there is no backlight. The backlight is the problem with LED TVs. Anyway, let's just say that side angle viewing is perfect not matter your angle and leave it at that. As you probably know, the 4K UHD resolution does not do you any good if you cannot enjoy the higher resolution. Therefore, up-scaling 1080p, and 720p and lower resolutions becomes probably the most important point in purchasing a 4K UHD TV due to the dearth of original 4K content. We do not see the content situation getting rapidly better either. 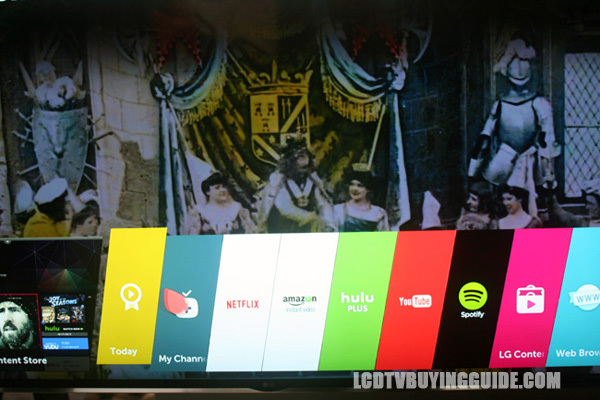 However, LG has put some effort into up scaling with the new “Tru-4K Upscaler” which uses an algorithm to smooth the transition from lower resolutions to the native 4K(p) resolution of the panel. We give the EF9500 up-scaling performance a solid B. We note a loss of clarity and definition especially in standard def programming but also in 720p. With 1080p the up scaling was noticeably better. Overall, we do see a good bit more definition and clarity with the EF9500 than with a1080p LED TV or with LG's 1080p OLED TV from last year. So there is a solid benefit to the 4K panel aside from just future-proofing. 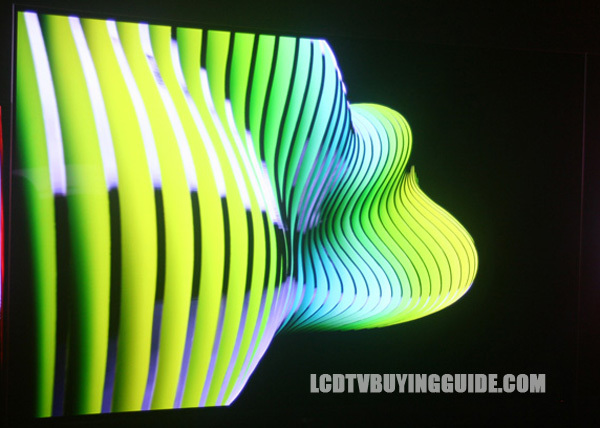 Did you notice that these OLED TVs do not have a Hz rate spec like 120Hz panel or “MotionPlus” or “Clear Motion Rate” or and other response time related technology spec? That's because OLED TVs (like Plasma) do not have a backlight and LCD Panel and as a result have extremely fast response times. LG lists the critical response time (the screens ability to refresh the image on screen) at an incredible 1 microsecond. There is little to no blur with fast action on the screen. "The flat screen will be 'in' again in a couple of years anyway"
The design of the EF9500 is called “floating flat” for the flat rather than curved screen and the clear plexi stand mount. It's very attractive and the panel itself is beautiful with a minimal frame and extra thin depth except for the bottom cavity which houses boards and speakers. I like a flat screen better myself. It's sleeker against the wall, plus there is no distortion from the curve. 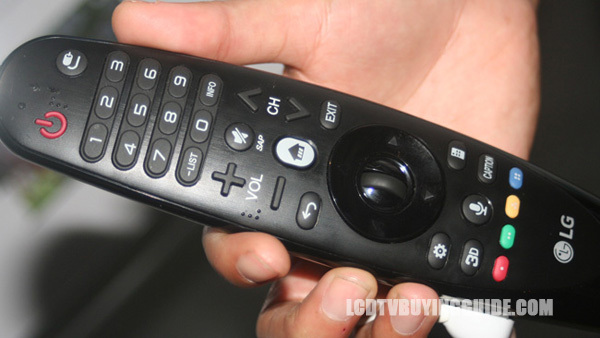 We are still big fans of the LG Magic Remote for speed and ease. The point and click operation is excellent and efficient. LG puts good focus on sound quality and realized that not everyone is going to go out and get a sound bar or surround sound system. With the EF9500 they've passed the responsibility to Harman Kardon. Excellent 3D quality using 4K resolution and and OLED panel sets the new standard for performance. Value is the big question with these new 4K OLED TVs. 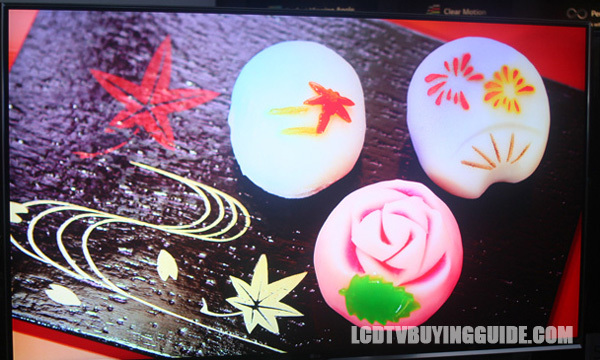 LG has a slew of new 4K LED backlit LCD TVs for the year which keeps the prices of these highly desirable OLED TVs high.